Why Use the Windows 10 Action Center Instead of the Settings App? The Action Center is one of the most underappreciated Windows 10 features 7 New Windows 10 Features You May Have Missed 7 New Windows 10 Features You May Have Missed Every major Windows Update now comes with countless new options and features. Here we cover awesome new features that didn't make the headlines. Read More . Most people only use it to view notifications, but how often do you use the shortcut icons at the bottom of the panel? My guess: not as much as you should. If you get in the habit of using the Action Center instead of the Settings app, you can save yourself a lot of clicks, time, and frustration. But exactly how many clicks can you save? Let’s take a look at three of the most useful Action Center shortcuts. To turn Wi-Fi on and off without using the Action Center (or the Wi-Fi icon in the Taskbar), you need to head to Start > Settings > Network and Internet > Wi-Fi and slide the onscreen toggle. That’s five clicks, a bit of scrolling, and some app loading time. Since Microsoft released the Creators Update A Peek Into the Windows 10 Creators Update A Peek Into the Windows 10 Creators Update Microsoft just announced the next major Windows 10 upgrade. The Creators Update will come to 400 million users in Spring 2017. Here are the highlights of Wednesday's Windows 10 event. Read More in Spring 2017, Windows 10 users have been able to enjoy a built-in blue light filter. It kills your screen’s blueish glow, making your machine more comfortable to use in the dark. To turn on Night Light in the Settings app, go to Start > Settings > System > Display and slide the Night Light toggle. Again, that’s five unnecessary clicks. It’s easy to set up Bluetooth on Windows 10. 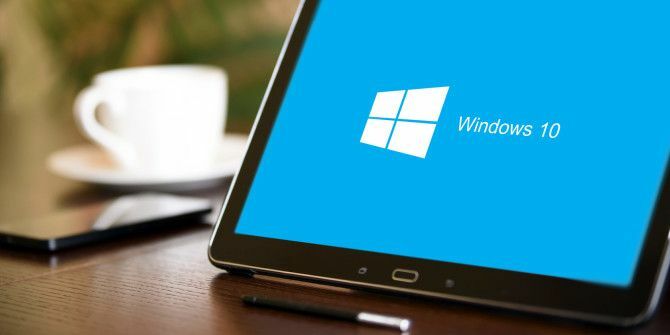 We’ve covered it in detail in an article elsewhere on the site How to Set Up Bluetooth on Windows 10 How to Set Up Bluetooth on Windows 10 Do you want to pair a Bluetooth device with Windows 10? We'll show you how to set up Bluetooth and Dynamic Lock on Windows 10 and help you troubleshoot. Read More . If you don’t use the Action Center, you’ll once again waste five unnecessary clicks. Why? Because you will have to go to Start > Settings > Devices > Bluetooth and Other Devices and flick the appropriate toggle. I’m sure you can see where this is going. It’s the same story for all the Action Center shortcuts. I’ve already saved you 15 clicks, but I’d love someone to find a shortcut that saves even more. You can reach out in the comments below. Explore more about: Windows 10, Windows Action Center, Windows Tricks.